Is your teen camp counsellor material? Teaching and tending to the needs of little ones all day and night can be exhausting. Does your teen have the patience and maturity to handle the responsibility? Duncan Robertson, Director of Onondaga Camp in Minden, Ont., hires 80 counsellors each year and says he always looks for staff who have prior experience working with children. “You have to show that you enjoy being with kids,” he says. Experience teaching swimming or skiing, tutoring, coaching a younger sibling’s basketball team or even babysitting looks great on a camp counsellor’s resume. Colin Leonard, Director of Camp Kandalore in Haliburton, Ont., says he prefers to draw from a pool of former campers when hiring staff. Former campers who become counsellors have a deeper understanding of the camp culture, traditions, songs and rituals, which allow them to succeed as a counsellor. Camp Kandalore has a Leader in Training program for 17-year olds to prepare them for becoming camp counsellors. “We draw a lot of our new counsellors from that program,” says Colin. Most camps that are located near water require counsellors to have a minimum Royal Lifesaving Society Bronze Medallion certification. First aid training is also a plus, although some camps provide this the first week of camp. “Camps are always looking to hire swim instructors so having your instructors’ certification will really increase your chances of getting hired,” says Duncan. Outdoor adventure camps such as Camp Kandalore may ask for Wilderness First Responder training as well. Working at camp is not the same as attending camp. “One of the biggest challenges for teens coming to camp for the first time to work a full summer is the illusion that it’s all fun,” says Colin. While camp is an exciting place, it’s a job that carries a hefty responsibility. Teighan di Prima, 18, worked as a counsellor at Onondaga Camp last summer and says although she still considers it the best summer job, she admits the constant responsibility can be draining. “No matter where you are, or what time it is, you always have to be prepared for a variety of emergency situations. Even at night, there is the potential to be woken up and have to deal with a problem. Especially with the youngest children, you constantly have to deal with issues such as homesickness or bedwetting,” she says. Does your teen do chores without being asked? Duncan says a strong work ethic is crucial in a camp counsellor. “Camp is hard work and very tiring,” he says. Having the ability to take initiative and being able to take care of themselves without a parent present to pester them or clean up after them is a key indicator that your teen will succeed as a camp counsellor. Does your teen enjoy having a jam-packed schedule? “I love to see staff who are on teams and clubs in and out of school because that’s what camp is all about; you're participating in activities all day long,” says Duncan. With so many summer camps out there, how can you help your teen find the right one? 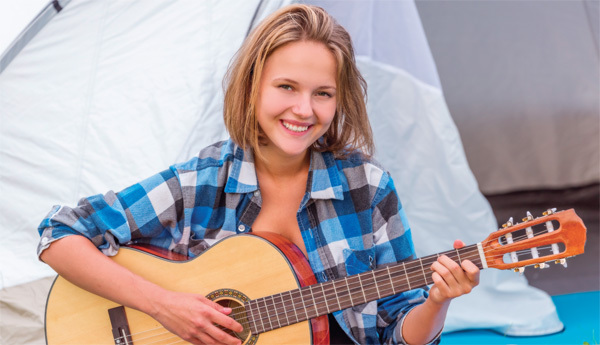 Talk about passions: Does your teen have a love of the arts or the outdoors? With so many specialty camps around, it’s easy to find a camp that allows your teen to explore his or her passions. Evaluate your teen’s skills: Before encouraging your teen to apply for a summer camp position, consider the skills he or she could bring to the camp. If your teen is a great basketball player and would love to teach this skill to others, a sports camp may be the best fit. Learn about the camp: If your teen hasn't previously attended the camp, encourage a conversation with the camp’s director or former campers to learn as much as possible about the environment, routine and activities before signing on for the summer. Weigh the pros and cons of residential vs day camp: A summer job at a residential overnight camp means your teen will be living away from home for two months. Consider whether your teen will want to be away from home all summer, or if working at a day camp where they will have evenings and weekends free to hang out with family and friends is a better option. 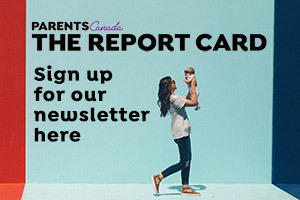 Originally published in ParentsCanada magazine, June 2015.